Starbucks debuted it’s Pumpkin Spice Latte in the Fall of 2003 Vancouver and Washington, D.C. By 2004, it was in all the Starbucks Coffee Shops and the public has been addicted to it ever since. Over 200 million cups of this seasonal beverage has been sold since it was introduced in 2003. If you are a Starbucks Pumpkin Spice Latte drinker, you do not have to wait in line to get this popular drink, especially if you can make it home and have it any time you crave it. I tailored the drink to my own taste by adding cayenne pepper for a kick and cardamon and a little bit of whipped cream with just a touch of honey. In a small saucepan over medium heat, cook the pumpkin with the pumpkin pie spice, cardamom and dash of the cayenne pepper for 2 minutes and is fragrant. Stir constantly. Add the sugar and stir until the mixture looks like a bubbly thick syrup. To warm the milk, whisk in the milk and vanilla extract. Warm gently over medium heat, watching carefully to make sure it does not boil over. Carefully process the milk mixture with a hand blender or in a traditional blender. If you are using a traditional blender, hold the lid down tightly with a thick wad of towels to prevent scalding or burning your hands. Blend the milk until it is frothy. Meanwhile, in a medium bowl, whip the heavy cream and honey until firm peaks form. To serve the lattes, add the espresso to the pumpkin mixture; stir and divide between two mugs and add the frothed milk. 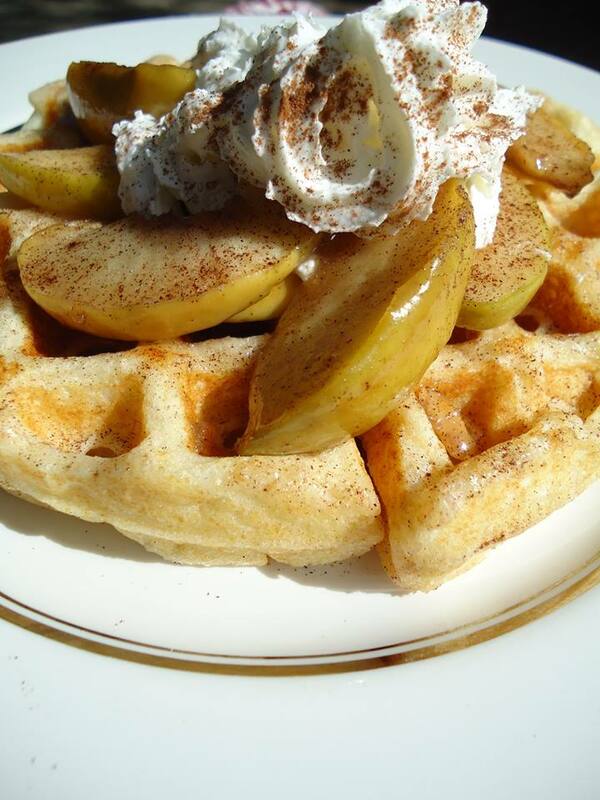 Top with whipped cream and a sprinkle of pumpkin pie spice, cinnamon, cardamom or nutmeg if desired.Serve immediately. If you don’t have espresso on hand, you can use strong brewed coffee instead. Increase amount to 1/3 to 1/2 cup. Make a big batch of pumpkin spice mix-in: If you like, you can make a big batch of the pumpkin spice base, and refrigerate. To make 8 full servings, cook 1/2 cup pureed or canned pumpkin with 2 teaspoons pumpkin pie spice, 1/2 teaspoon black pepper, and 1/2 cup sugar. Stir in 1/2 cup vanilla extract. Refrigerate for up to 1 week and use as desired. To serve, blend 1/3 cup pumpkin spice mix-in with milk until frothy, and add 1 or 2 shots of espresso. Top with whipped cream and serve.